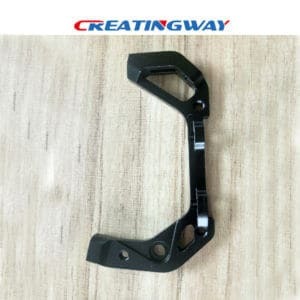 As one specialized CNC Parts Machining Manufacturer Creatingway provide more rapid prototype, cnc machining, low volume production and easy assemble services to our global customers, make sure easy communication, quickly delivery, excellent quality, competitive prices for your each of projects, make you best partner in China. In fact, low volume production meanings that you will have very small quantities even 1pc, 2pc sample inquire to make your design concept, or need one physical sample testing your drawings, meanwhile, you are only limited your budget, in here, our Creatingway will be better choice to make your partner to achieve your idea. Whatever your inquire will be 1pc, 10pc, or 100pc, we can provide you best low volume product need under excellent service and competitive price. You only need to send us below information. Your ideas, drawing or concept. Sample purposed from 1pc or 100pc, so we can provide best price level based on 1pc or 100pc, if your product will be very good marketing, even we can provide free of charge to you, work with you together to make best support, make one potential investment. 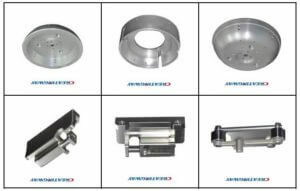 As one professional low volume CNC Parts Machining Manufacturer in China, Creatingway always continuously work and improve our skills, system, experience from our valued customers, training and fellow progressive company, make best CNC Parts Machining partner in China for you, easy communication, quickly delivery, flexible working time, competitive price, excellent quality to you. Wondering who is best equipped to machine a custom metal part existing only on paper? We ll build it. Our versatile fabrication abilities put us in a position to create parts other machining companies couldn t dream of tackling. yes, of course, if any inquire, you also can get us for checking out, will get you.